How might a house look for Christmas based on what each Gospel says about it? In Christmas in the Four Gospel Homes, beautiful illustrations from architect Kevin Burns reimagine each of the four Gospels as a “house,” which the church visits at Christmas. In each section, Cynthia M. Campbell reflects on the distinctive perspective of the birth of Jesus or the incarnation offered by each Gospel. 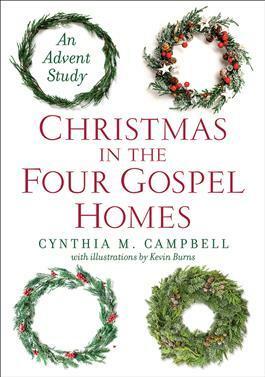 Suitable for individual or group study, Christmas in the Four Gospel Homes creatively reimagines the season and inspires new and exciting reflection for Advent.